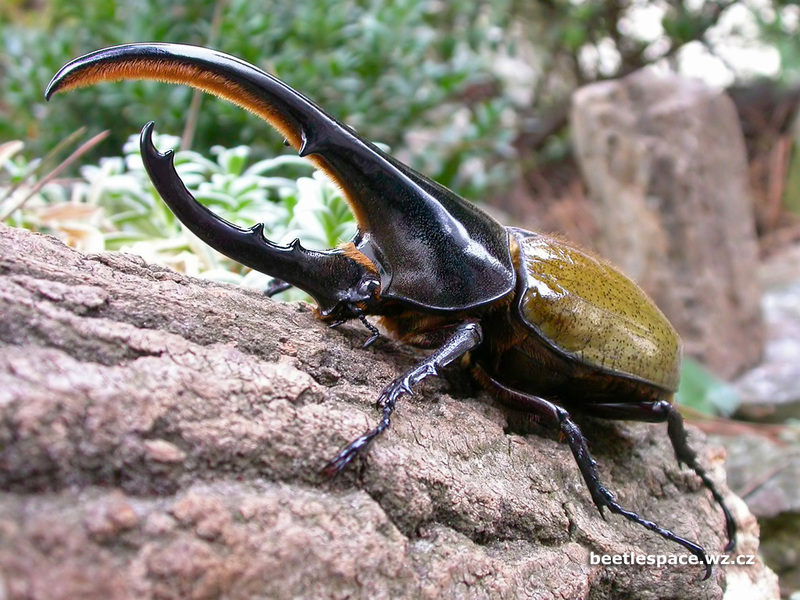 Like a stag with antlers, the male Hercules Beetle (Dynastes hercules – found in rainforests of South and Central America) is equipped with spectacular horns that it uses to assert its right to mate. 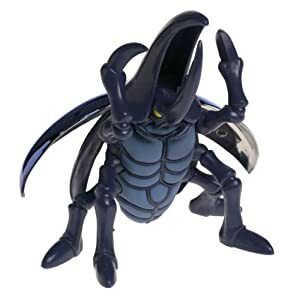 In a duel, the stronger beetle will grasp his rival with the long, down-curving, pincer-like horns and dash him to the ground. The victor is known to seize the female beetle (without horns) and carry her to a quieter spot away from the combat zone. Thanks to these gleaming appendages the Hercules is one of the largest beetles in the world (specimens of up to 17 cm long have been recorded). It also has phenomenal strength. According to calculations they can carry 850 times their body weight, the equivalent of 65 tons for a human. Those who try to keep them in captivity often have problems as the Hercules Beetle, if it feels like going out, can simply bend the bars of a cage or push open a lid weighed down with a rock. Such power has created legends. Charles Leonard Hogue reported in Latin American insects and entomology that in Guadeloupe people believed the Hercules Beetle to be a kind of insect chain-saw, clasping a branch in its horns and then whirring round till it was cut. The origin of the belief is probably that tree sap is part of their diet. Though they can fly, they are more likely to be found trundling along the rain forest floor, looking for rotting fruit to assuage their sweet tooth.